Lady Jazz, winner of Amateur 2 Year Old Mares and World Grand Champion Amateur 2 Year Old, owned and shown by Pat Waggoner, Lebanon, Mo. Lady Jazz, winner of the 1991 Two­ year Old Amateur Mares and Two-Year Old Amateur Grand Champion, represents a dream come true for owner, Pat Waggoner, of Lebanon, Mo. 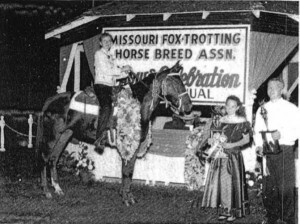 Pat began riding Missouri Fox Trotters as a child and began showing in 1976. Lady Jazz is her first World Champion. Lady Jazz was raised by Pat and her husband, Larry. She was sired by Southern Jazz and her dam is Anne’s Missouri Lady. This makes her a full sister to last year’s Reserve Champion Amateur Two-year Old, Southern Comfort. Lady Jazz began her show career by capturing the Mid-America Two-Year Old futurity garland in the Non-Professional Division. She was a consistent winner throughout the summer. Trained by Curtice Williams, Lady Jazz is a remarkably gentle and cooperative mare. She requires little riding and comes out of the stall with the enormous head shake that caught people’s eyes all summer. Pat wishes to express her thanks to everyone who supported Lady Jazz. 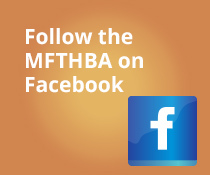 Watch for Lady Jazz to return next year in the Three-Year Old Amateur classes. You’ll probably see her in the Lead-line class as well with Lane Waggoner in the saddle.